People that notice losing their hair and start to feel unhappy about their looks take into consideration the possibility of a hair transplant with Bosley. So How Much Will You Spend For A Bosley? We will give you a basic estimate, but you have to understand that the bosley cost will differ for each patient that chooses to go for this procedure. To get an idea about the actual price, all you have to do is figure out how many grafts of new hair you will need. If you’re serious about going through this procedure, you have to understand that you might not be able to get the amount of hair you used to have, due to how much hair you will be able to transplant and how will your hair and scalp react to the actual transplant. To get an exact estimate and stop guessing, you will have to talk to a Bosley doctor and get a consultation. However, usually, people need anywhere between 800 and 2,700 grafts for each procedure, depending on multiple factors. As an average, the hair transplant will have a price that can range from $4,500 to $13,000 for each procedure a patient goes through. This price is calculated for each procedure and typically patients will go through one or two such treatments to have the scalp and hair that they desire. There have been some cases in which patients needed more than two transplants, this happening when a patient has lost a lot of hair prior to the procedure or when the scalp doesn’t react too well to the treatment. Before the transplant you will have to go through a consultation, that being the best time to find out exactly how many grafts you’ll need and how much will Bosley cost you. Is there a way to save money ? There are always ways to save some money, but usually, when your health is at cost, you shouldn’t look for the cheaper option. If you qualify, you could apply for the financing options that will be available, to lower down some of the costs for the procedure. When you choose the doctor that you want to take you through the procedure, while calling him at the office, ask him about any discounts or promotions he might be offering. Usually they don’t, but asking won’t cost you anything. 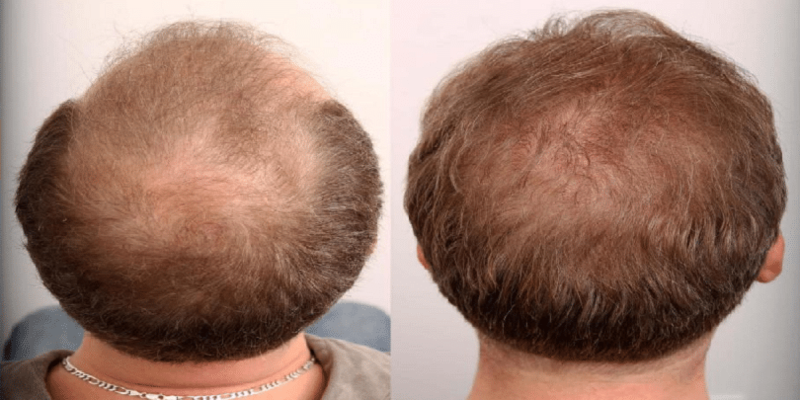 Also ask the specialist if there’s any way in which you could get a good natural look but use less grafts placed farther one from the other, during your free Bosley consultation. This is one of the tips that will save you a lot of money, and it’s something most people don’t know. You can get a natural look by using fewer grafts placed farther one from the other, if the transplant is done by a professional. Overall, applying for financing could be the best decision if you qualify for it. It will be easier to pay, if you will be able to make multiple payments for a longer period of time, instead of paying everything upfront. Don’t even try to get financing if you know you have a bad credit score. This procedure is so effective that most patients feel like it is a great investment in the long run, greatly increasing their confidence and making them look better. The Bosley procedure is guaranteed for life, and will be done using your own real hair, this being other great aspect of the transplant. If you know you can afford it, it is something you won’t regret, just be sure you have the money you’ll need to pay for the entire procedure. https://www.thepricer.org/wp-content/uploads/2014/06/bosleybeforeafter.png 405 810 qSign http://www.thepricer.org/wp-content/uploads/2016/11/pricerlogonew.png qSign2014-06-23 22:52:242017-02-08 00:10:28How Much Does Bosley Cost? How Much Does a Brazilian Blowout Cost? How Much Does Shingles Vaccine Cost?